To improve basic Simple columnar transposition technique, we can introduce more complexity. The idea is to use the same basic procedure as used by the Simple columnar transposition technique, but to do it more than once. 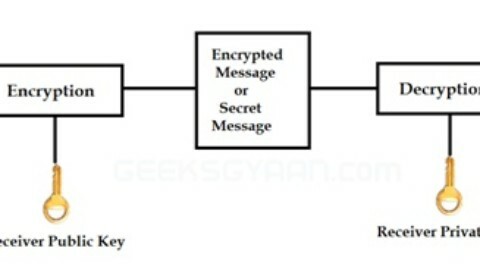 That adds considerably more complexity for the code breaker. 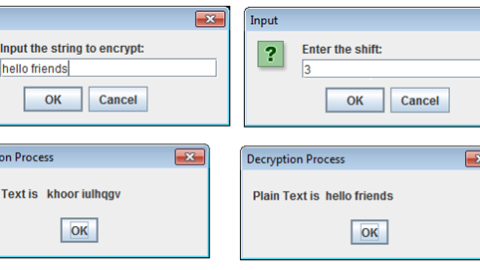 Write the plain text message row-by-row in grids of rectangle of a pre-defined size. Read the message column by column. However, it need to be in the order of column 1, 2, 3,4,5,6 etc. It can be any random order such as 2, 6, 4, 3, 5, and 1. The message obtain is the cipher text message of round 1 repeat step 1 and 2 as many times as desire. 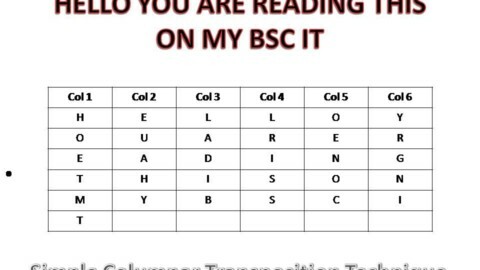 As we can see only addition to Simple columnar transposition technique is step 3, which results in execution of algorithm more than once. 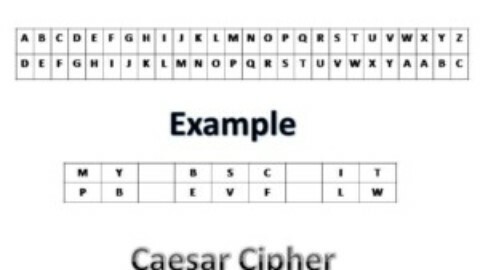 This adds more complexity to the cipher text. More the number of rounds in this technique more complex are cipher text.